Semana Santa, or Holy Week in english, in Sevilla is one of the city’s biggest festivals that is held each year. 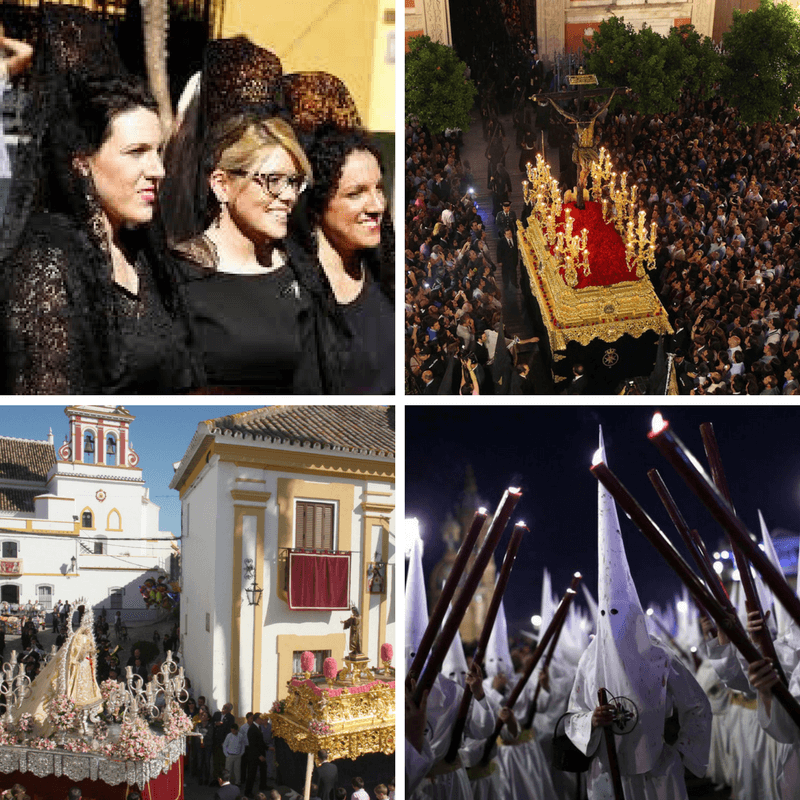 Although Semana Santa is celebrated all over Spain on the week running up to Easter, the celebration has been carried out by the brotherhood and fraternities since the late Middle Ages in Sevilla. And so, compared to other regions of Spain, you can see why the most glamourous form of the parade takes place here in this historical city of Sevilla. The weeklong festival is a series of processions of pasos (floats) depicting not only scenes from the sorrowful Mystery of the Rosary which are related to the crucifixion of Christ but they also have images of the Virgin Mary grieving for her son. These pasos are made from wood, wax and wire and are carried around the city for up to 14 hours and the events depicted on them are almost life-like and often very artistic that fascinates the onlookers. The gigantic figures carvced from wood and such are all from the bible personalities: Jesus, the Virgin Mary and saints etc. There are over 60 such pasos that are made and cared for by religious brotherhoods. Each religious brotherhood has their own route from their church to the main Cathedral and back to their church. Pasos weigh around a metric ton and has to be carried by from 24 to 54 men. These men who carry the pasos on their necks are called costaleros, literally meaning “sack men” and they are chosen from the brotherhood. Costaleros hide under the flatform curtain which makes the guiding men look as if he was walking alone. The ones under the curtain have to rely on the guide’s voice. The costaleros parading through the narrow streets of Seville, although unseen but surely known, withstand the body of the gigantic pasos which is a fascinating sight to see and a shame to miss if you are ever in Spain during Easter even if you are just passing through. As the Holy Week heavily relies, no pun intended, on the Catholic religious brotherhood, it has become a practice to pass down the tradition through families. But the membership is still open to the Catholic community. Even then, it is not an easy task as you have understood and some members wait up to 15 years to join this ceremony. And, indeed, only such dedication can bring out the best performance and a strong team that can make the events come to life. Walking in front of the pasos, you will see members of the brotherhoods dressed in penitential robes with capirotes which are tall, pointed hoods with eye-holes. The capirotes are worn so the faithful could repent in anonymity and not be recognised as self-confessed sinners. They can sometimes be barefoot and have chains and shackles around their ankle as penance and their uniform colour vary depending on the organisation. it is not a secret that their robe resembles that of the extremest group “KKK” (Ku Klux Klan), but these groups have nothing to do with each other and would be a mistake to compare them in any other ways. Coming behind these men will usually be children dressed in vestments and behind them comes the actual pasos which in turn is followed by a band if there is one. Another group of penitents then follow but they do not wear the pointed hoods and usually are carrying wooden crosses. There can be up to three of these processions for one religious brotherhood which means for one religious brotherhood their procession could have anywhere from a few hundred to 3,000 participants. These processions are held every day from Palm Sunday to Easter Sunday. The biggest day however is on the eve of Holy Thursday when the procession will start out so that it will arrive at the Cathedral on the dawn of Good Friday. Festival signifies many things and some of it being the symbol of unity and shared identity for the Spanish people. The Catholics pray and chant together and can get very emotional. Aside from the parade, a definite must try in regards to Easter food are torrijas and pestinos, for people in search of something other than chocolate bunnies and eggs, although that is the popular option too. Torrijas is similar to french toast and the “divine” bread is often dry or left-over bread, soaked in milk or wine, coated in egg then fried. people add all sorts of flavours such as cinnamon nowadays. They taste delightful. And if you would like to learn the history of this humble bread, it dates back to the 15th century when it was first invented by nuns. The bread was especially popular in taverns at the beginning of the 20th century. Pestinos, on the other hand, is a bit different. They were brought by the Moors and was eaten during the Ramadan originally. It is folded dough, deep fried in olive oil and glazed with honey or sugar. Sevillanos, the people of the Seville, love their Easter treats and is said to be even considered rude to not bring them if you are visiting family or friends. If you plan on walking part of the Via de la Plata then why not do this at Easter so that you can see these wonderful processions that are full of colour. 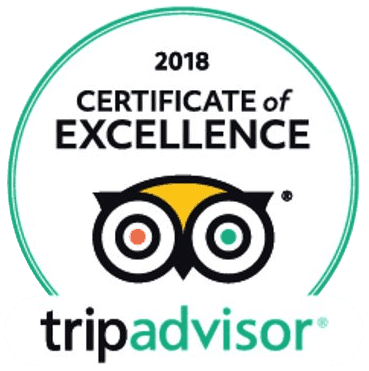 This will be a busy time in Sevilla so make sure to plan this well ahead so that we can secure for you the best accommodation available. As the parade is not tied to any specific dates but to a cosmic phenominon, you can estimate so that your travel is between the March 22th and April 25th. If you attend the procession be sure to respect that this is a holy procession and so dress appropriately. Many locals will dress in their best as if they were attending mass. Find out more here on the walk from Sevilla to Monesterio, the first section of the long Via de la Plata.